We help you to consult and hire the best Supreme Court & High Court Divorce And Alimony lawyers in Central Delhi. Use filters to narrow your search and find the best advocate in Central Delhi, whether its a family dispute or divorce lawyer, property lawyer, employment or labor court lawyer, criminal lawyer, recovery or cheque bounce lawyer, taxation or corporate lawyer, or a lawyer expert in any other field of law. 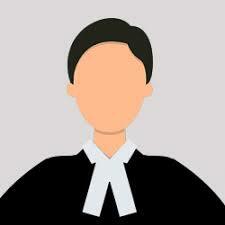 Need help to find the best Divorce And Alimony lawyers in Central Delhi? What we mean by divorce is common, but the process to obtain it is not same because every religion has its own norms and procedures to obtain a divorce. central delhin being a diverse cultural country where people of many religion and culture resides and for that matter are governed by their own personal laws in order to maintain the sacred nature of customs of their different religion and to freedom to follow, profess and practice any religion has been granted in the constitution of central delhi. From divorce matters relating with it are also to be dealt with like custody of child, alimony, rights and duties etc. under the Hindu marriage act 1955 section 13 deals with the grounds and types of divorce. Where the spouse belongs to different religion special marriage act 1954 applies laying the grounds for divorce. Section 10 of the divorce act 1969 deals with matters relating divorce among Christians in central delhi. With respect to Muslim personal laws it is Section 2 of dissolution of Muslim marriage act that governs the divorce matters. One of the important questions that arise in the mind of people seeking divorce is the lousy process and the heavy paperwork which is required in completing the process. In that case a major task of is to get good divorce lawyers, which is quite a task for the layman to choose from many options available, well Lawtendo does the work for you. Lawtendo is the perfect platform to hire lawyers in central delhi for the matters relating to divorce, separation, alimony, maintenance, child custody. One would always prefer a friendly and experienced lawyer, so that they could easily interact and go through the process without much trouble. Lawtendo is a tool which has a panel of lawyers and thus helps the people in central delhi to appoint best and experienced lawyers with respect to the abovementioned matters.